So you want to spend time in your Durango Colorado backyard, and are in need of a patio, but which type of material should be used? 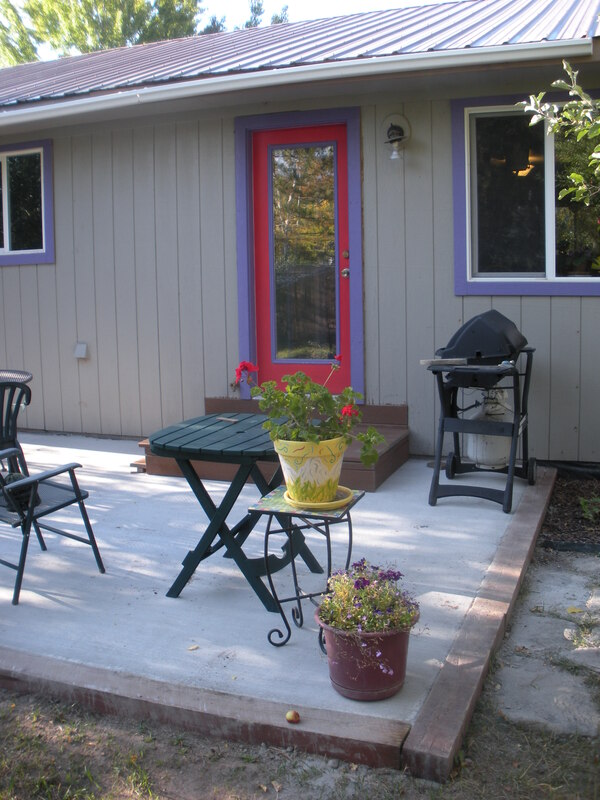 So you are thinking about building or replacing the patio area on your property in Durango, CO. It’s a good idea to envision how your family will use the space before you invite a contractor over to look at your site. 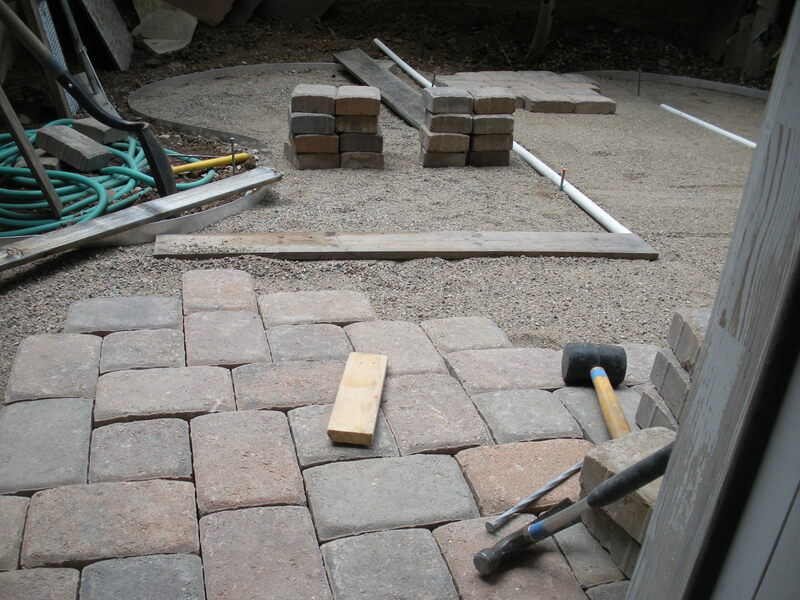 I will touch on three different hard surfaces that are common to use in the construction of backyard landscaping in Durango, Co, concrete, flagstone and manufactured pavers. Concrete is good choice for small patio areas. different colors and relatively easy to work with. Concrete is great for very high traffic areas and for use in areas that will have patio tables and several chairs and it is also easy to sweep or wash clean. It is also possible to stamp patterns into concrete or to acid wash for a different look. Concrete is readily available in all areas of the country and many contractors are familiar with its use and limitations. Flagstone is appropriate for low impact areas and informal uses. Landscape pavers are a good choice for a small patio that gets a lot of traffic. Many people like the natural look of real stone and choose a flagstone patio for their outdoor hardscaping area. Flagstone is available locally in several colors and textures at either Eagle Block or Durango Nursery and Supply. In my opinion, flagstone is most appropriate for use in walkways and informal sitting areas, such as a place to sit and ponder the view or visit with a few friends. 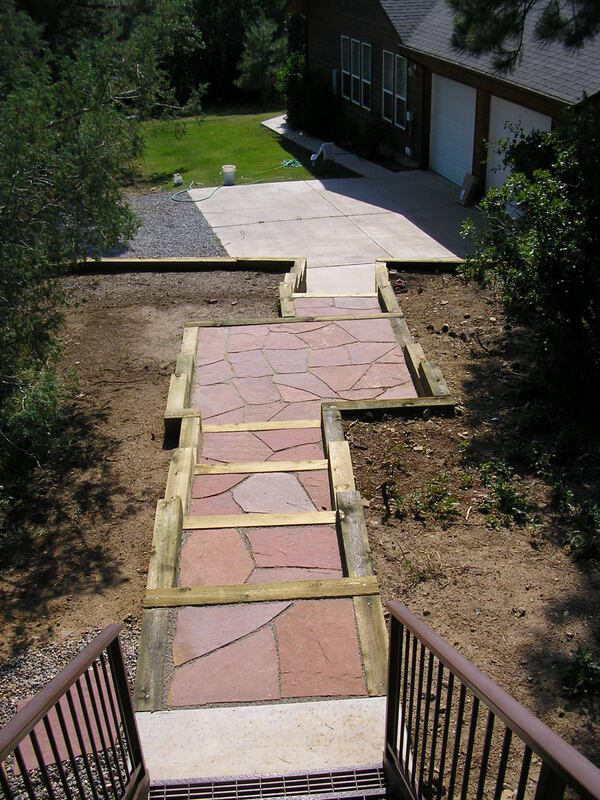 Flagstone requires some skill to cut and fit so that it looks natural and so that it stays in place and does not settle over the years. Take a look at our Pinterest Patio page for more examples of Flagstone Patios. In recent years, manufactured pavers have come solidly on the market, available in many sizes, colors and textures. Pavestone and Belgard are some of the more popular companies, but there are many to choose from. Individual pieces are set on a sand base and compacted into place once the installation is completed. 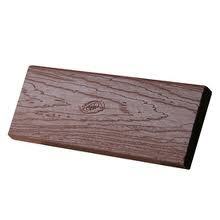 They are very durable and suited for use in many applications, including high use areas. The wide range of colors and textures make them a practical choice in many outdoor applications. Gardenhart Landscape & Design would be happy to help you decide what materials would work well for your application and why they are appropriate. We are located in Durango, Colorado and work throughout the Four Corners area. Watch our you tube video about how we installed a pavestone patio. 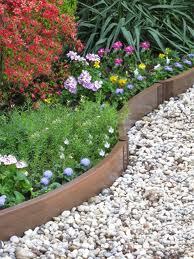 Facebook for more sustainable landscaping tips. When we look at landscapes everywhere, various elements are delineated by landscape edging, grass areas from perennial beds, vegetable gardens from the compost pile, gravel walkways from shrub beds and many other applications. I think that the material we use is an important piece of the design. First, before we discuss the different materials , I should say that here in Durango Colorado, our ground freezes in the winter, so we need to use an edging material that will resist frost heaving. 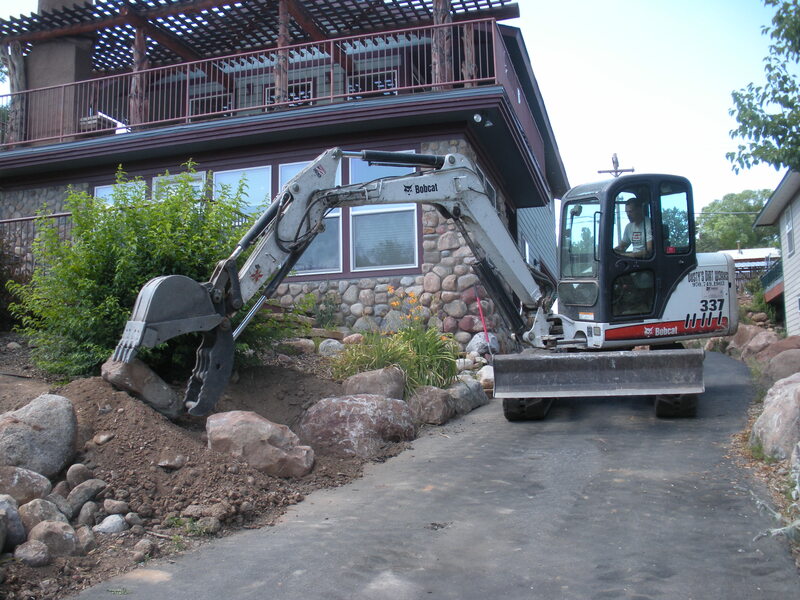 This process will tend to push some edging material out of the ground, creating an unsightly and dangerous situation. 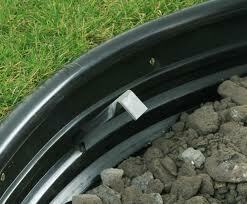 An installer should use the pins or stake materials provided with the edging. Lets discuss the general types and their suitability. 1) Steel, usually available in 10′ sections, green and brown, they are easy to transport and not to difficult to install. They have slots for the stakes to hold them together and to hold them in the ground. Gardenhart Landscape & Design has installed hundreds of them over the years as it was the only option. 2) Aluminum, available in 10′ as well, not easy to find, need to purchase pins to hold it in place and only comes in silver. Can be difficult to cut and work with. 3) Plastic, comes in a roll, 10′ long ,black , comes with stakes to hold it down and dowels to join the pieces together. Inexpensive and available in big box stores. 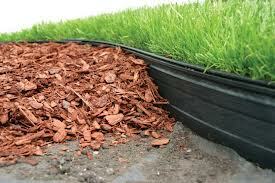 I find it difficult to work with and does NOT stay in the ground, however well installed. 4) Recycled Plastic, 20′ piece, tan in color, difficult to transport for most people, rather expensive and requires special pins to hold it in the ground. I have used it in several applications and am starting to prefer it over steel. 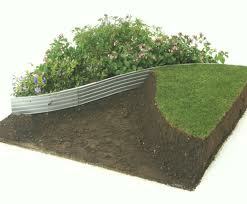 Lots of Gardenhart’s clients like the recycled aspect of the product. In summary, we at Gardenhart Landscape & Design, strive to use products that represent the wishes of its clients while providing a high quality landscape design and installation. We are open to learning about new developments in our industry and providing them to our clients in the Four Corners area of Southwestern Colorado. In a previous blog, I was writing about how to select a landscape architect, designer or contractor to design and complete landscaping projects on your property. I am assuming that you read that post and now you are ready to actually call someone and set an appointment for them to come to your site and talk about what you want to accomplish. One of the first things you should notice is do they answer their phone or promptly call you back. It should not take them days to return your call, by the next morning if not sooner. Once you have them on the phone, they will probably ask you a few questions about what you are hoping to achieve, how you got their number and then they might want to schedule and appointment to meet at your house. This is where you really can decide whom you want to work with, you can get an understanding of them as a person. Do they listen to what you want and ask lots of questions or have they decided what you need? A good designer will gather as much information as possible about how you hope to use the land and incorporate that into their planning. If you did not discuss their qualification before meeting them, you should do so now, asking about schooling and what area of the country have they done most of their work, are they familiar with the soil, plants, climate attributes specific to your geographical area? Check out this article for even more details. I recently looked in our local Durango, Colorado yellow pages and counted over fifty companies listed under Landscaping Contractors, obviously, they have different levels of experience, some who have been in the industry and this locale for many years and have numerous references. There are others who have a shovel and a pickup truck and can plant a bush. Your job is to determine who will give you the best value, a functional outdoor space for an appropriate price. How Do You Select A Landscape Architect, Designer or Contractor for Your Durango Colorado Landscape Project? If you are considering having improvements made to your outdoor landscape this summer, you might be wondering who to turn to for the best advice and the most value for your dollar. After a quick look at the Four Corners Directory Plus phone book under the heading for Landscape we see no less than five landscape architects, seventeen landscape designers and SIXTY FOUR people and companies listed as landscape contractors. How do you get started? 1) Do a web search, the first two pages will narrow the possibilities down considerably, leaving you established companies with satisfied clients and their referrals. I would then look at all of their websites, looking at the content and photos of work completed and read the referrals. 2) Contact the individuals if they are named and get a firsthand account of their experience with the company. If they give their name, they are probably willing to speak honestly with you about the landscape designer or landscape contractor. Gardenhart Landscape & Design and I, David Hart, hope that this gives you a good place to start on your search for help with creating the landscape that you have always dreamed of, easy to take care of, affordable, wild fire resistant and practical for our climate in the Durango Colorado area. In upcoming posts, I will give you some ideas about the skill sets comparing Landscape Designers, Landscape Architects and Landscape Contractors. You might be surprised that they are quite different. I will also discuss what to ask during your first interview with a possible designer, architect or contractor. company or individual for your project. One note of caution, currently Colorado does not license or regulate the title “Landscape Architect or Landscape Designer” so anyone can use these titles to describe their abilities, regardless of their education and work experience. I will outline the skills involved in each of these areas as well as their education and what situations they are most suited for. Of course, there is always some overlap within all aspects of professional life, but this will get you started. Landscape Architect: Most likely with a Master’s degree from an accredited university, a member of a large firm that does large-scale public works projects, parks, airport design, regional transportation designs etc. Capable of guiding public meetings and creating numerous concept and design drawings. Also able to produce residential design and planting plans as well. They are more often hired by municipalities and developers for their abilities to promote and sell the concepts to the public or investors. Landscape Designer: Hopefully holds either a Bachelors of Arts or Science in Landscape Architecture from an accredited university. They may also hold horticultural degrees from colleges or vocational schools, but it is important for them to have some formal schooling. They are capable of producing detailed drawings, to scale, showing all aspects of the proposed work, along with recommended plants and hardscape materials. They will be more informed about what plants do well and the climate demands of the specific location. They may not want to install the project, but want to sell you the design and let you find someone to do the rest. 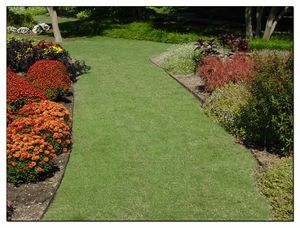 Landscape Contractor: The owner will often have some schooling in landscape or horticultural programs and has learned lots by working in the industry for several years, figuring out things as needed but many of these contractors may or may not have design experience beyond what they have seen others do. Many landscape companies do lots of different types of work, sprinkler installation and repair, tree care, aerating and fertilizing , lawn mowing and weeding etc. Other companies will specialize by installing landscape features such as retaining walls, water gardens, flagstone patios, outdoor kitchens along with lawn and planting areas. 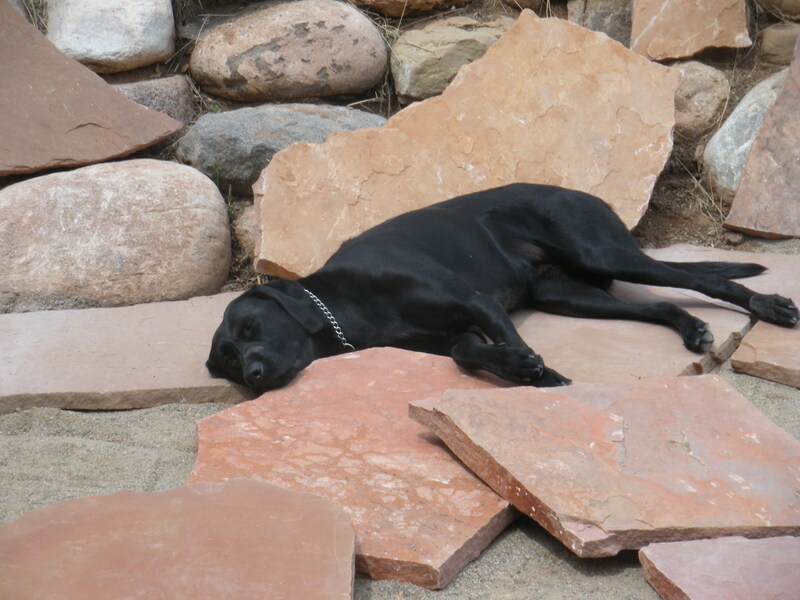 If you have read this far, you probably are interested in finding out about me, David Hart owner at Gardenhart Landscape & Design, working out of Durango Colorado, in the southwest corner of the state. To be clear with regards to the above post, I consider myself a “Landscape Designer”. 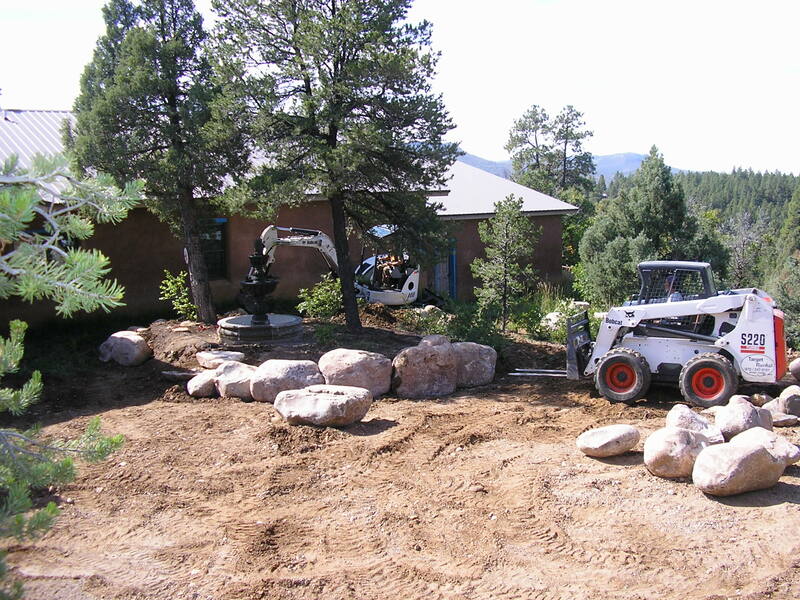 Gardenhart Landscape & Design re-builds a boulder wall near Durango Co. I graduated from Utah State University with a B.S. in Landscape Architecture in 1983 and have lived in the Durango area ever since. Gardenhart Landscape & Design is a design-build firm, providing comprehensive oversight from start to finish. We incorporate a natural, native look into all of our projects, using best practices in the industry. These include native plants and stone, low water and fire resistant design principles and a deep understanding of the local soils and climate. Trees in our landscapes are prone to damage from many factors, including wild and domestic animals. Let’s talk about one method of control that can lessen the impacts on our trees. 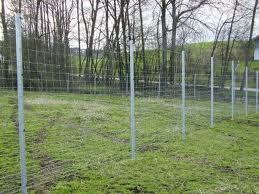 Fencing can be a very effective method to prevent animals from coming into contact with our plants, if we can fence the entire property with an eight foot wire fence and provide a gate for vehicular access, then you have gone a long way to prevent damage from deer and elk and the damage they bring to our trees. However, this is not usually a practical solution for the average homeowner, the neighbors and the City will have something to say about the prison look you have introduced to the neighborhood. So, given that we cannot control the larger movement of animals, let’s just stop them from hurting the individual tree, or groups of trees. 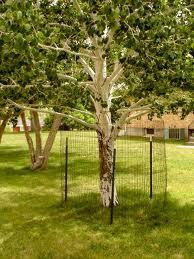 We can put up fences to protect the trunks from rubbing of antlers and the feeding on leaves. I like to use Remesh, the wire grid that concrete installers put in large slabs to strengthen and prevent cracks from happening in concrete. You can purchase it at lumber stores, it comes in 150′ x 5′ rolls and is made from 10 gauge wire. It is very heavy , usually rusty and is rather unpleasant to work with, but it will stand up on its own when cut into a circle and placed around the tree. This fence will last for many years, some clients remove it during the summer, when deer and elk are less apt to be in the yard, looking to feast on your plants, or rub the velvet off their antlers, then put it back up in the fall. I hope this is helpful, let me know if you have specific questions about containing and eliminating damage from specific critters you may have. My neighborhood spruce trees have been attacked by aphid-like insects, Cooley spruce gall adelgids that make the ends or the new growth of each branch brown. Colorado State University Extension has the best description of this pest. My neighbor has asked to remove his tree because of his mis- diagnosis of the problem. This gall doesn’t harm the tree, it just makes it look less healthy than it could. Even applications of pesticides are not that effective in controlling the problem. The indicator that I find strange is that it needs a douglas fir species to complete their life cycle, since we don’t have Douglas Fir in our immediate neighborhood, I’m quite perplexed to see such an abundance of the spruce gall affecting about 30 trees. 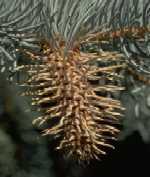 Utah State has a great description of the Western Spruce Budworm as does the Colorado State Extention. This is a very debilitating worm that can kill off stands of spruce, douglas fir, white fir and subalpine fir. Its larvae feed on young developing buds, needles, shoots, and other plant parts. Colorado State Extention Description is very good. This canker is a fungi in the species cytospora and can kill the plant. 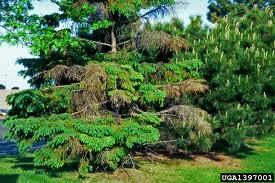 This canker affects many different kinds of trees and the only evergreen tree that is affected is the spruce. The other trees that are also affected include apple, ash, aspen, birch, cherry, cottonwood, elm, maple, peach and willow. 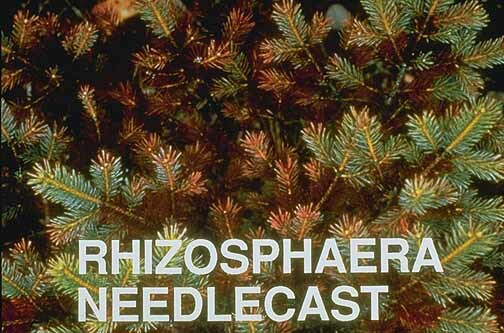 The Rhizosphaera Needlecast symptoms of the disease are discoloration of the needles, needle drop, and eventual defoliation. Infected needles turn yellow in July and then reddish-purple in August. The needles eventually turn brown and fall off one to several branches. A severely affected tree will have many bare branches. Premature needle drop is the primary damage, causing the tree to become unsightly. However, branches that are defoliated for four or five years may die. If left uncontrolled, the disease can eventually kill the tree. New Mexico State University has the best description. 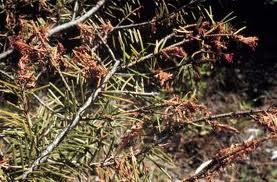 Overall, if you have browning needles on your spruce tree, they may be one of these problems. It is best to determine which one it could be and utilize a control as soon as possible. There are a few others possibilities that may make your spruce turn brown, although I haven’t seen much evidence around Durango Colorado. Please review us on Google Places and Buzztown. 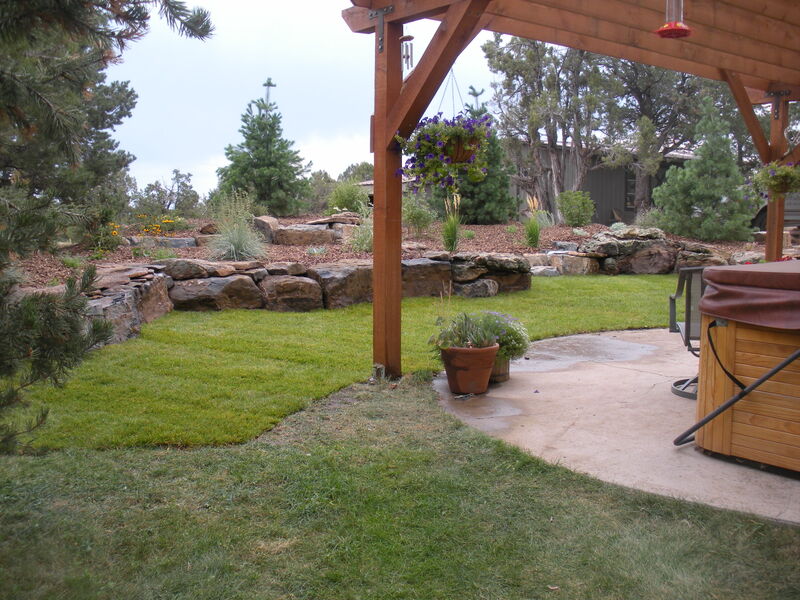 Owner, Gardenhart Landscape and Design in Durango, Colorado Gardenhart Landscape & Design is a sustainable landscaping company that provides architectural designs and custom landscape installations in Durango Colorado. David Hart has a B.S. in Landscape Architecture and Environmental Planning from Utah State University. He has been designing and installing exquisite landscapes for more than 30 years and knows what works in Southwest Colorado.